Shopping for Video Games Vehicles? Show off all of your favorite Rocket League cars on your keys or backpack with these figure hangers! One random hanger comes in each blind bag. 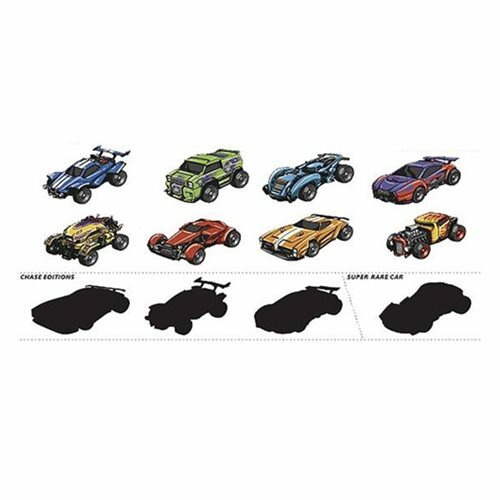 The Rocket League Pull Back Racers Display Box contains 24 individually blind packaged vehicles.